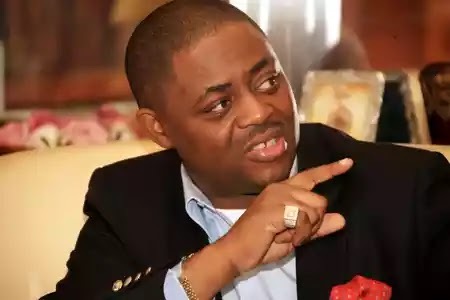 Former Minister of Aviation, Femi Fani-Kayode has also joined other People’s Democratic Party(PDP) members to reject Osun state rerun election. According to Fani-Kayode, the fact that the international communities has raised an eyebrow about the conduct of the rerun speaks volumes. 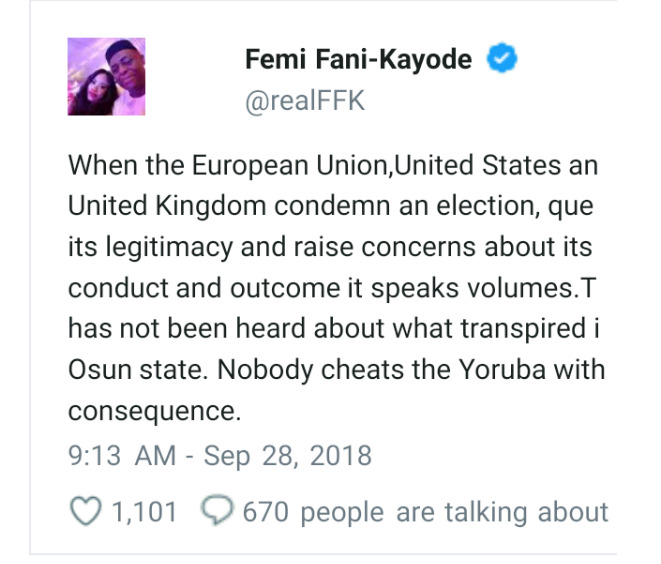 Speaking via twitter on Friday, the former Minister of Aviation made it clear that the result from the rerun will not be accepted, adding that nobody cheats the Yoruba without consequence.